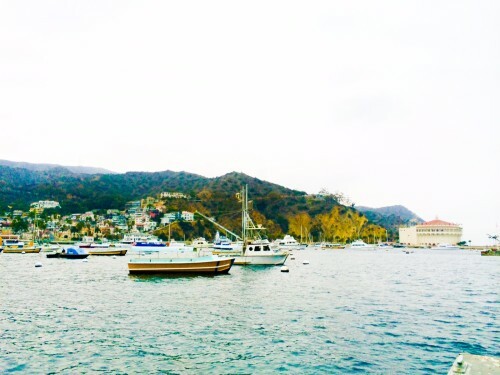 Catalina is the ultimate getaway for anyone who lives in Southern California. A quick ferry ride away, Catalina is an enchanting retreat with amazing outdoor activities, the best candy shop in the world, and a whole lot of charm. 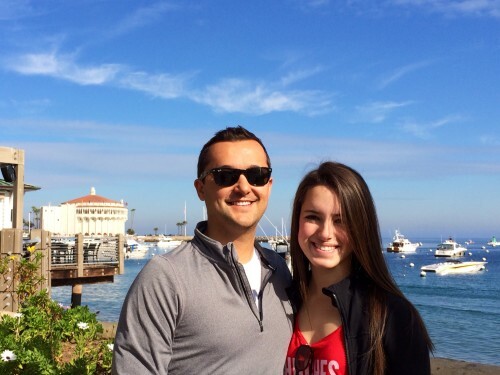 My husband and I visited Catalina in the off-season – in January – and weren’t quite sure what to expect. 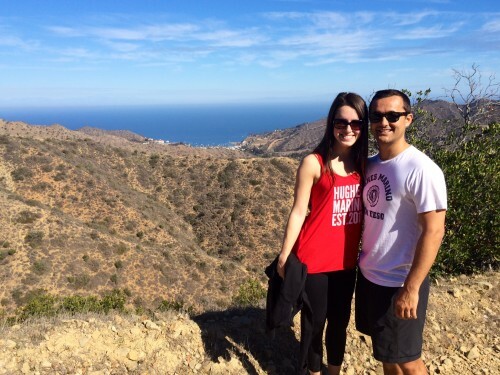 Like most California winters, we were met with 70 degree and sunny weather – the perfect hiking weather. The warmer months of the year are great for water activities (snorkeling, stand-up paddle boarding, etc.) – though we were told to expect bigger crowds during the summer season. The Catalina Express ferry leaves out of Long Beach, San Padre, and Dana Point. For those who experience sea sickness like I do, or are afraid of deep water like I am, fear not! It is a short and painless ride. If I can do it, so can you! Snug Harbor Inn is the best bed and breakfast on the island. It’s in the heart of Avalon with the picturesque view of Avalon Harbor that all Catalina goers hope for – and it’s as high-end of a bed and breakfast as any five-star hotel. We stayed in the San Nicholas room which overlooked the harbor. It was beautiful, cozy, and had a fireplace – what more could we hope for? The inn’s staff brought breakfast to our bedroom, and we also enjoyed afternoon snacks (complimentary). The Hermit Gulch hike is a must. The hike itself is about 4 miles long – but if you walk to the trailhead from Avalon (and back), it ends up being a total of about 7 ½ miles. Walk from Avalon to the Wrigley Memorial and Botanic Garden, and you’ll see the trailhead from there! It’s a tough hike with a lot of uphill climbing, but the views are breathtaking and absolutely worth it. 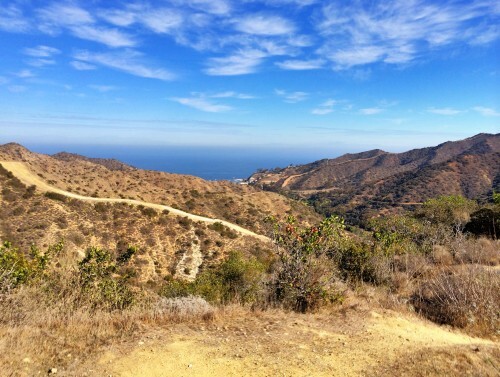 The Catalina Zip Line Eco Tour is also a must-do for those adventure lovers! It’s extremely safe, gets your heart racing, and allows you to experience some of the best views on the island. 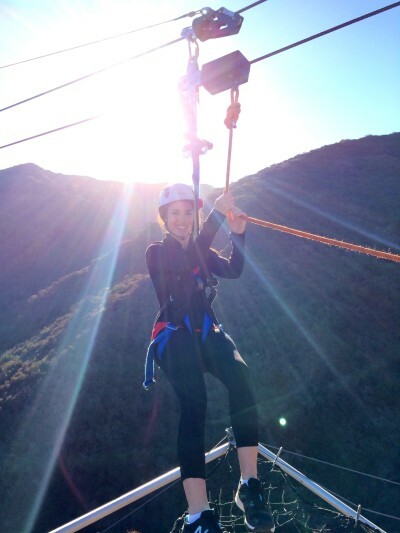 There are five zip lines on the tour, for a total of about ¾ mile of travel, reaching speeds up to 40 miles per hour! Lloyd’s of Avalon is arguably the best candy shop…ever. Their homemade fudge and saltwater taffy are to die for. We frequented Lloyd’s about ten times during our short weekend stay in Catalina – so for anyone with a sweet tooth, you’re in for a treat (literally)!